When you need fleet fueling for your vehicles, service is a major factor. You need to partner with a company with a track record of servicing customers’ needs quickly, efficiently and on budget. If you are in Montgomery, Frederick, Howard or Baltimore Counties, you need look no further than Von Eiff Oil. In business since 1944, Von Eiff Oil is a woman-owned business dedicated to providing businesses with the best possible fleet fueling services. If you run a construction company, a trucking company or any other business with its own fleet of vehicles, you owe it to yourself to learn about our unsurpassed track record of excellence. Von Eiff Oil is happy to deliver fuel literally any time of day or night. You obviously want to prevent your drivers from spending non-productive and costly overtime at the pump. Since we come to you, your drivers will report to work in a pre-fueled fleet that can start generating revenue from the word go. Needless to say, this provides an excellent way to reduce costs and help you gain a competitive advantage. Von Eiff Oil allows you to reduce overall labor costs while increasing productivity. This simple advantage allows you to recognize improved performance to the bottom line and overall profitability of your business. There is literally nothing more important to your business. Learn more about our fuel products. In addition to the more obvious benefits of working with Von Eiff Oil, we are a woman-owned business and a Maryland-certified Minority-Owned Business (MBE). This means that – in addition to working with us for our professionalism and expertise – your business can meet the MBE participation goals on MDOT SHA contracts. 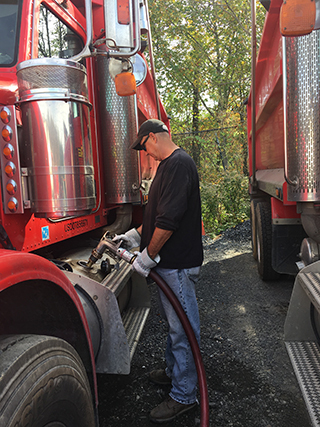 This, in addition to our other money-saving and service-oriented benefits, makes us the obvious choice for your fleet fueling needs. 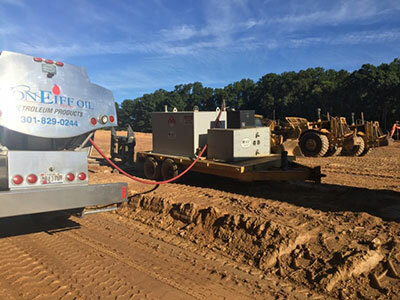 Since 1944, Von Eiff Oil has been supplying commercial fleets in Carroll County, Frederick County, Montgomery County, Baltimore County and Howard County with quality fuel products. Contact us or call 1-800-VONEIFF (866-3433) to learn more.